Many Bedouin have been very quickly confronted with modern life and have not had the time to adapt or the means to preserve their way of life. Their inexperience has not allowed them to see the changes that came their way or be aware of the dangers of modernisation. For these reasons, many Bedouin have very little to rely on with very few having any education permitting them to have well paid employment, and have lived a very traditional lifestyle for thousands of years with practically no developments until the arrival of mass tourism developments in the last 25 years. 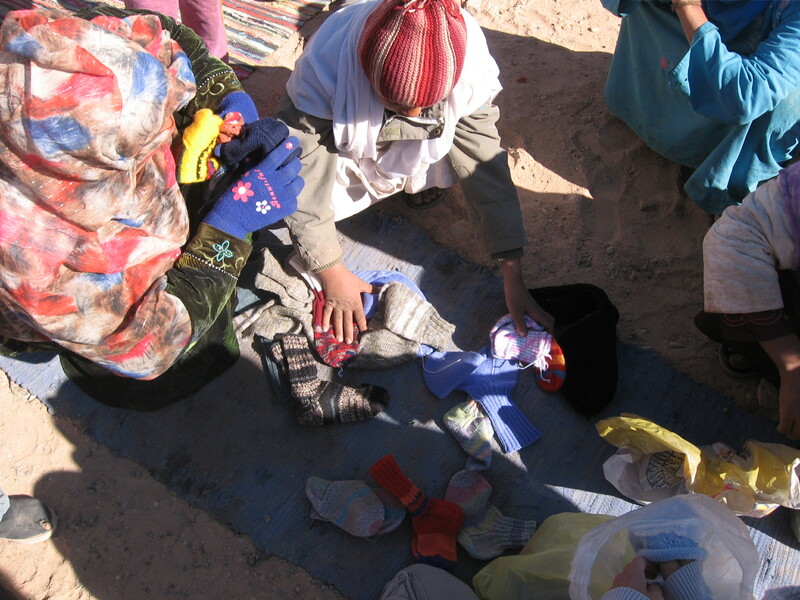 Thank you to the ladies who knitted these woolen hats, socks, gloves and clothes and donated them to us. They were distributed in Wadi Marra and Wadi Arada.